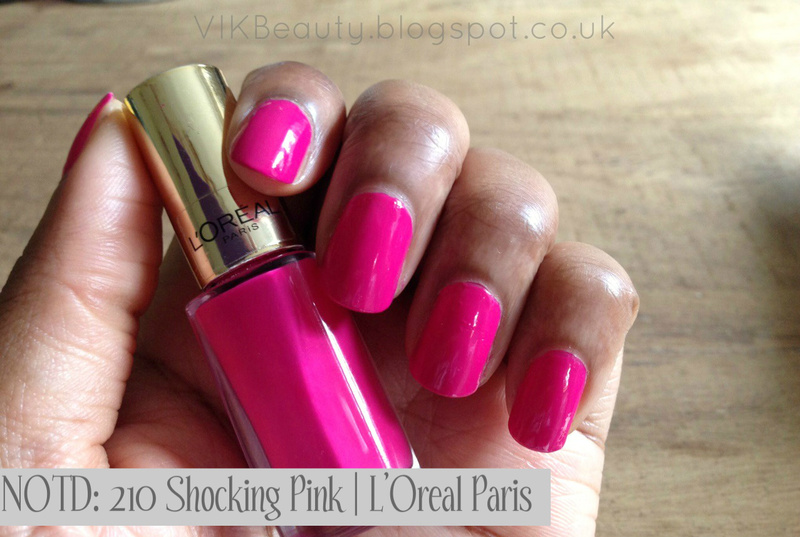 On my nails this week I'm wearing "Shocking Pink" by L'Oréal Paris. It is part of the New Color Riche Nail mini nail collection. This is actually the first nail polish I've tried from the L'Oréal Paris range (gasp!). I'm not sure what took me so long. I guess I just keep going back to my staple nail polish brands. As you will see from the pictures below, it is a mini bottle, 5ml to be exact. It is gel based (so luckily you don't get those annoying brush strokes) with a built in top coat. Although it has a great glossy finish to it, I still use a top coat. It's a habit that I'm used to now. What I really like about this nail polish is the flat brush which allows you to be more precise when applying the nail polish. The formula is really rich and you can get enough coverage which just one coat. However, in the pictures below, I used two coats. I am a fan of the colour. It's nice and bright, perfect for summer. With two coats, the nail polish lasted for 4 days without chipping which I think is impressive. However, with one coat, it chipped after the second day. Four days is a good run for me as I do have an active lifestyle coupled with the fact that I wash my hands like a maniac numerous times throughout the day. I also found that because the formula is extremely rich, there is the risk of the polish getting to that thick gooey stage. It did become thicker after a couple of uses. All in all, it is a good polish and I wouldn't have a problem picking it up again. I actually bought another one in a different shade. There are 41 shades in total. Not sure if they are always stocked in stores though. This polish retails at £4.99 and you can pick it up in your local Boots & Superdrug or other stores that stock the L'Oréal Paris range. 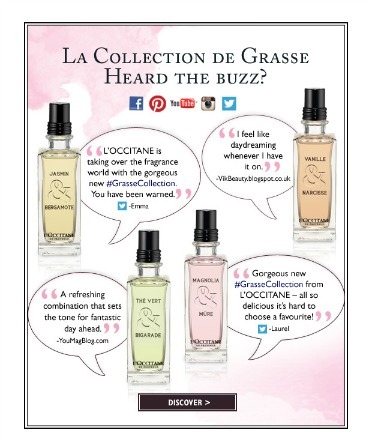 Have you tried any nail polishes from L'Oréal Paris? What are you wearing on your nails? 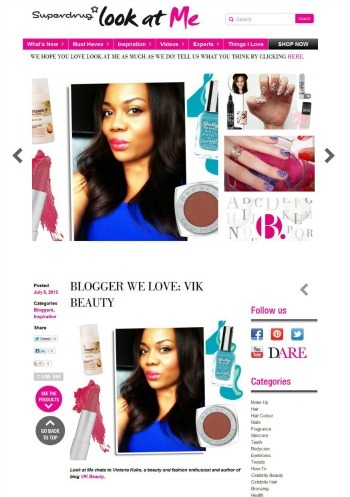 ****** Don't forget you can follow me on bloglovin, facebook, twitter, instagram, & gfc! Wow , i love the colour ,i'm a sucker for any thing pink...(chuckles). Looks good on you too.